TUESDAY, June 21, 2016 (HealthDay News) -- Michigan hospitals saw a rapid decrease in the number of uninsured patients after 'Obamacare' helped the state expand Medicaid, researchers report. The Healthy Michigan Plan, launched in April 2014, enrolled hundreds of thousands of low-income adults in Medicaid, the government health insurance plan, under the Affordable Care Act. Within three months, the proportion of uninsured patients seen at the state's 130 hospitals fell by nearly 4 percent. The proportion with Medicaid coverage rose more than 6 percent, University of Michigan researchers found. "This is evidence that broader availability of insurance coverage for residents of Michigan is translating into coverage at the time when people are most in need of it -- namely, when they are sick enough to be in the hospital," said lead author Dr. Matthew Davis. "The Healthy Michigan Plan appears to be shifting the balance for almost all Michigan hospitals, to have a higher proportion of patients who have insurance coverage," Davis, a professor of health management and policy, explained in a university news release. 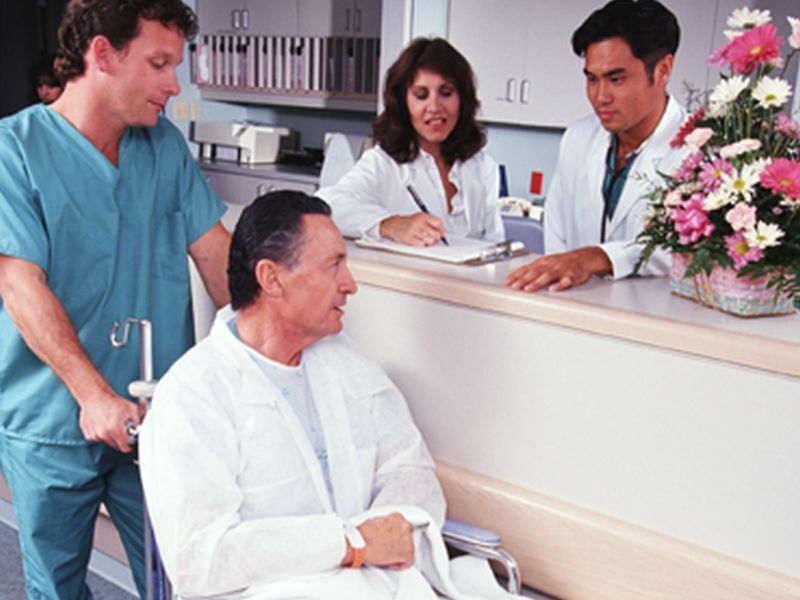 Overall, 94 percent of hospitals treated fewer uninsured patients. And 88 percent had more Medicaid-covered patients in the last nine months of 2014 than in the same period in the previous two years, the researchers said. But even though more patients had coverage, hospitals did not have a sudden increase in non-elderly adult patients. There were actually slightly fewer hospitalizations statewide in the year after Medicaid expansion than in the two years before expansion, according to the study. Some critics of Medicaid expansion feared hospitals would be swamped with pent-up demand for care, the researchers noted. The study authors said that the findings confirm that Medicaid expansion helps relieve hospitals of the burden of caring for patients with little or no means to pay. "When uninsured individuals are so ill they need to be hospitalized, it poses financial risks to them as well as to the hospitals that they're admitted to," said Davis. "Medicaid expansion in 31 states and the District of Columbia has reduced that risk," he added. "Meanwhile, uninsured individuals in states that haven't expanded the program continue to face that risk -- as do the hospitals there." The findings were published June 21 in the Journal of the American Medical Association.